With a smart API solution that delivers relevant suggestions. Are you looking for a domain name search API to implement with your search platform that provides intelligent suggestions based on the domain name or keywords a user enters? Are you looking for an all-in-one domain name search interface and domain name suggestion solution that can be implemented with minimal effort? Offering relevant domain name suggestions can help convert prospects to customers. The Verisign NameStudio API Service supports a broad set of TLDs* and can help you achieve this goal. 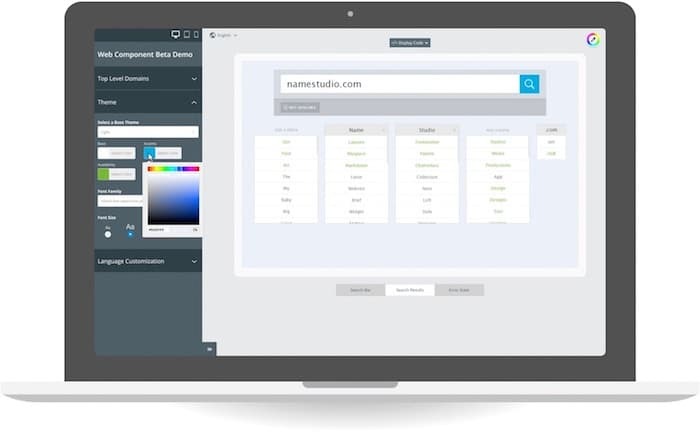 * NameStudio API provides second-level domain name suggestions in Verisign-operated TLDs and other TLDs. 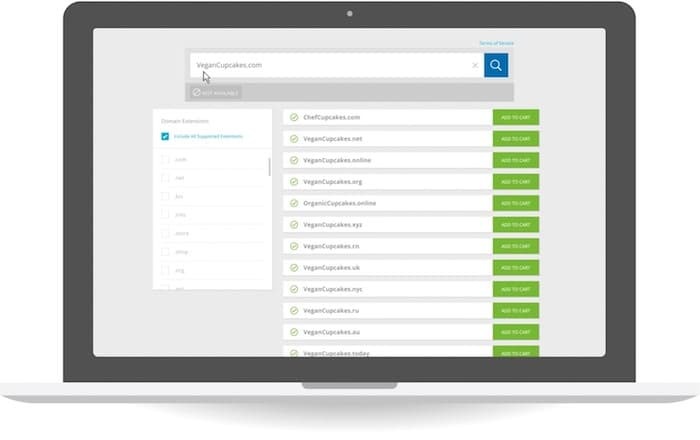 Availability checks are currently offered in Verisign-operated TLDs and several other TLDs. Availability checks in non-Verisign-operated TLDs are subject to change. Multiple data centers including one in Europe and two in the U.S. enable reliability and fast delivery of domain name results. Offer relevant suggestions in 13 languages – Chinese, English, Danish, French, German, Hindi, Italian, Japanese, Korean, Portuguese, Spanish, Turkish, and Vietnamese. Choose a turnkey implementation or easily configure the service using single-function API endpoints based on your domain name search needs.